Whether it's boiling maple syrup or designing 21st century computer chips, Vermonters have a reputation for doing things right. Here, hard work is a virtue. A job well done is a matter of pride. That's the way Vermonters are raised. That's the way they live. That's how they do business. At Triad, a solid work ethic is part of everyone's make-up. And though our values may be old-fashioned, our services are state-of-the-art. 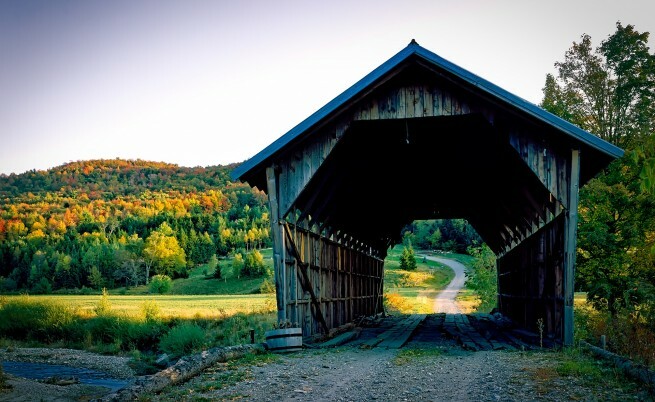 We are proud of our Vermont integrity. In November of 1927, Vermont experienced a devastating flood; one of the worst in the state’s history, destroying homes and much of the state’s infrastructure. On September 21, 1928, President Coolidge gave a speech in Bennington, praising Vermonters for the work they had done. But mostly for how the people came together for each other. Neighbor helping neighbor. A prevailing sprite to roll up their sleeve and take on a challenge. The quote above was the closing paragraph of Coolidge's speech. The state embraced the last five words, “…brave little state of Vermont”. Those words still have meaning to Vermonters today. At Triad, we feel the same way. As Vermonters, we meet each challenge head on. And just as we support our neighbors, we support our customers with the same determination …the same let's-do-this attitude. Triad's Vermont integrity guides our principals towards providing the best service to our customers.